These events are not run by The Ehlers-Danlos Society. If you have an event you want listed on these pages, please use this form. **When using a GPS, enter New York Institute of Technology for directions. Take the Long Island Expressway (I-495) east to Exit 39, Glen Cove Road. From the exit ramp, turn left onto Glen Cove Road-you’ll be heading north. Travel north on Glen Cove Road for approximately two miles. Turn right at Northern Blvd. (Route 25A)-you’ll be heading east. The Old Westbury campus entrance is at the third traffic light on your right. Turn onto campus and follow the road, bearing right at the basketball courts. The Riland Building is the last building on the right. Take the Long Island Expressway (I-495) west to Exit 41N, Route 106/107 North. From the exit ramp, turn right onto Route 106/107-you’ll be heading north. After approximately a half-mile, this road divides-stay to the left for Route 107. Travel north on Route 107 for approximately three miles. Turn left at Northern Blvd. (Route 25A)-you’ll be heading west. The Old Westbury campus entrance is at the fourth traffic light on your left. Turn onto campus and follow the road, bearing right at the basketball courts. The Riland Building is the last building on the right. The NYIT College of Osteopathic Medicine is accredited by the American Osteopathic Association to provide osteopathic continuing medical education for physicians. The NYIT College of Osteopathic Medicine anticipates CME credits for a maximum of 4 hours and will report CME and specialty credits commensurate with the extent of the physician’s participation in this activity. ANSEDH is pleased to present the II EDS International School in Spain and invite you to attend it, on November 9 and 10, 2018 at the Faculty of Medicine of Malaga. The EDS School targets are to offer to the health community, physicians, nurses, assistants, students of any of these specialities, and anyone interested in this rare disease, all the news concerning diagnosis, treatment and monitoring of those affected by SED. Under our slogan: “Together everything is possible”, the celebration of the II School aims to reach all issues. A fundamentally practical training, orientation to diagnosis, evaluation, treatment and monitoring of people suffering EDS. We hope to see you in Malaga on 9 and 10 November! Tenemos el gusto de presentarles la II Escuela Internacional de los Síndromes de Ehlers-Danlos e invitarles a asistir a la misma, los días 9 y 10 de noviembre de 2018 en la Facultad de Medicina de Málaga. En un escenario en el que día a día se desarrollan nuevos y mejores tratamientos para las enfermedades, se cronifican patologías, hasta el momento, con mal pronóstico y la medicina supone la base fundamental para el aumento de la esperanza de vida, los profesionales no pueden ignorar el devenir de nuevas enfermedades, ni dejar pasar oportunidades de mejora en el desempeño de su labor. Bajo nuestro lema: “Juntos todo es posible”, la celebración de la II Escuela pretende llegar a todos aquellos profesionales interesados en esta mejora, a todos aquellos preocupados por actualizar sus conocimientos y motivados por enriquecer su experiencia en esta enfermedad poco frecuente, proporcionando una formación fundamentalmente práctica, orientada al diagnóstico, evaluación, tratamiento y seguimiento de las personas que padecen esta enfermedad. ¡Os esperamos en la Facultad de Medicina de Málaga! Please join us for the first PhoenixEDS medical conference where you can hear from some of our amazing local medical professionals who have taken our zebra herd to another level. Dr. David Saperstein, our keynote speaker will give an overall informational address regarding Ehlers-Danlos syndrome (EDS) and how we can better communicate our needs to the medical community. We will also have two exceptional physical therapists, Eric Bloom and Jeffery Petersen speaking as to the importance and benefits of the right PT. Joe Pongratz will provide an overall look at some of the durable medical equipment and braces that are available and how they can benefit those with EDS. Additional medical professionals will be added as they are confirmed. A variety of vendors and exhibitors that support the needs of those with EDS and its comorbidities will also be in attendance. The conference includes one day of speakers and a cold lunch buffet with water. Dairy, gluten and vegan options available. (please let us know in your registration if you need a special option). You may bring additional snacks or drinks. For further information, contact PhoenixEDS at info@phoenixeds.org. Over 200 disorders impact connective tissue. Those are genetic disorders, such as Ehlers-Danlos syndrome, Marfan syndrome, and autoimmune disorders, such as lupus and scleroderma. Ehlers- Danlos syndromes (EDS), including the associated hypermobility spectrum disorders (HSDs), are the most commonly observed, and the neurological manifestations include effects on the cerebrospinal fluid circulation. This has been largely overlooked and poorly described. In 2017, for the first time management and care guidelines have been produced for the co-morbidities that can occur within EDS and HSDs. Experts and physicians treating patients with EDS, more frequently and uniquely observe neurological manifestations that ought to be linked to the pathophysiology of deficient collagen, hypermobility, unstable vertebra and early disk disease, and an aroused immune system. All those deficiencies may cause structural and functional problems to the central nervous system. 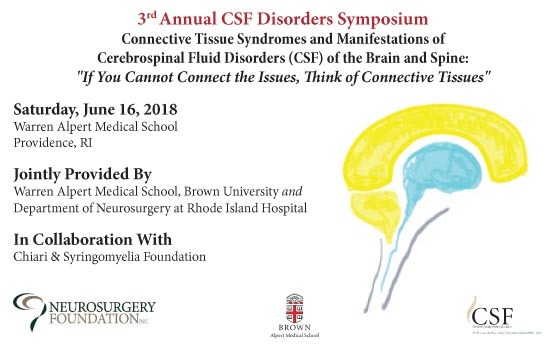 The CSF symposium will discuss and advance the understanding of the above with focus on the most prevalent Ehlers-Danlos syndromes, and provide both clinical and translational evidence to the concept of central nervous and cerebrospinal fluid system manifestations of connective tissue syndromes based in imaging, pathological findings and results of pain, physical therapy and surgical interventions. For more information, please click here to view or download a PDF flyer. Join NYIT for the Ehlers-Danlos Syndrome Patient Symposium at NYIT College of Osteopathic Medicine (NYITCOM). If you or a loved one suffers from Ehlers-Danlos Syndrome (EDS), you need to find a comprehensive treatment program that will empower you and improve your well-being. At this symposium, you’ll learn about treatment options for EDS, hear from experts in the field, and discover how EDS patients can improve their quality of life. For questions, email eds@nyit.edu or call 516.686.7573. To R.S.V.P., click here. For more information, please visit NYIT’s web site. The ILC are pleased to invite you to the ILC Charitable Foundation Annual Ehlers-Danlos and Chronic Pain conference on Saturday, November 4th and Sunday, November 5th, 2017 at the Peter Gilgan Centre for Research and Learning, 686 Bay St, Toronto, ON M5G 0A4. For more information, please visit The ILC Foundation’s web site. 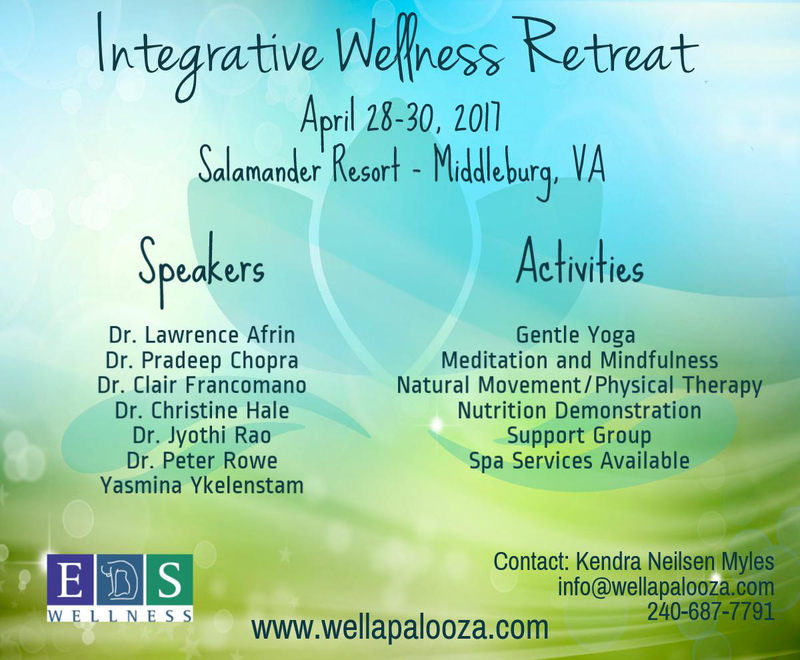 EDS Wellness’ Integrative Physicians Learning Conference strives to promote an open-minded environment — one that opens doors to understanding and facilitates constructive discussions; thus, leading to improved quality of care and better patient outcomes. Speakers’ presentations, conference workshops, and content is based on the most up-to-date diagnostic criteria and evidence-based integrative strategies, ensuring the highest possible standard of care for patients with chronic pain and multisystemic chronic illnesses. The Physicians Learning Conference aims to equip medical professionals of all specialties, the medical information, and resources needed to ensure the proper diagnosis and care of patients with complex, chronic and often misunderstood medical conditions. Healthcare providers will learn practical tools to help with the proper diagnosis and care of patients with chronic illnesses from top specialists in various medical specialties, such as Rheumatology, Cardiology, Genetics, Internal medicine, Oncology/Hematology, Psychiatry, Orthopedics, Physical Medicine and Rehabilitation, Functional Medicine, Pediatrics, Emergency Medicine, Allergy and Immunology, Neurology, Anesthesiology and Chronic Pain Management, Naturopathic Medicine, Nutrition, Physical Therapy and Biomechanics and more! 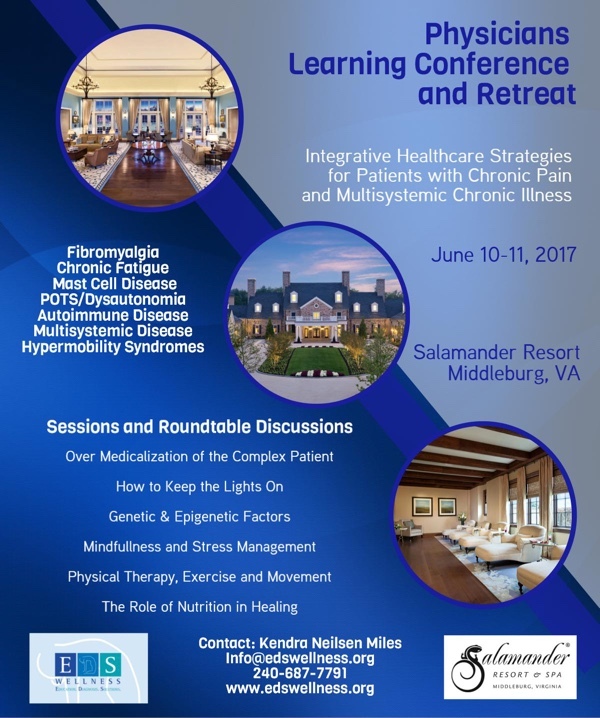 The 2017 Physicians Learning Conference will provide a unique opportunity for healthcare providers of all specialties and backgrounds to network, learn and openly discuss medical research, and focus on collaborative patient care. Annabelle’s Challenge & EDS UK are hosting UK’s first Vascular EDS Conference in May 2017. The aim of the conference is to provide medical professionals and patients the most up to date medical information about the treatment and management of vascular EDS. The event will also offer a unique opportunity for patients and families who are touched by vascular EDS to meet others with the condition, to share experiences and hopefully form lasting friendships. Families will be most welcome at the event and we hope to be able to provide entertainment for the children, to allow parents to fully participate in the conference. We are delighted to say that speakers and content is being provided by the EDS Diagnostic Services for complex cases in NHS Sheffield UK, ensuring the highest possible standard and most up-to-date information on vascular EDS. More information will be released soon and we anticipate a quick uptake of tickets, so we suggest registering your interest to ensure you here about ticket availability at the soonest. To register your interest in tickets please visit our website.